Visual Journal>Cruising with Kids>Today’s Inlet: Tricked out. 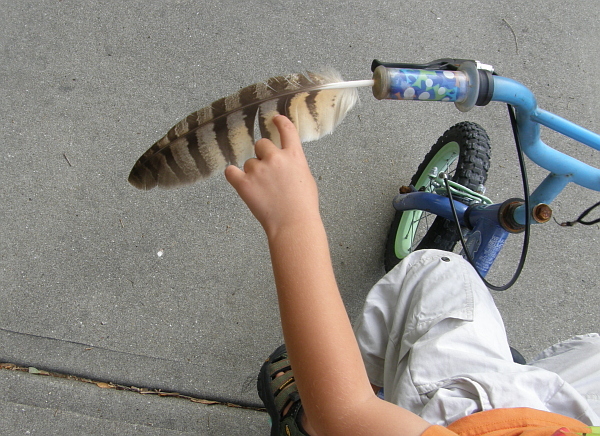 The 4-year-old was very excited to find an osprey feather on this morning’s bicycle expedition. He immediately tricked out his ride, and later wedged a large pine cone between the handlebars for good measure. Today’s inlet: Salmon & Salmon.